I’m lucky enough to have a B&N outlet half a mile from my house. For several years, I cut through the parking lot while walking to work. 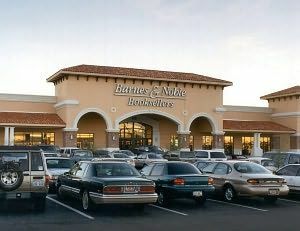 Nowadays I sometimes walk my dog, Twiggles, to B&N and sit for a few minutes in front of the store. I couldn’t do that with my previous dog, because he’d go ballistic whenever anyone tried to walk into the store. Twiggles, however, is friendly and well behaved. My most recent purchase at B&N was The Annotated Persuasion, which is part of David Shapard’s series of annotated Jane Austen books. This is the third of Shappard’s tomes I’ve read, following Pride and Prejudice and Emma. As with the other annotated editions, The Annotated Persuasion explains many small nuances I would otherwise miss. For example, Shapard points out words that have changed meaning, even if only slightly such as liberal, by which Austen meant cultivated, refined, or generous. Upon occasion, Shapard inserts an editorial opinion, clearly identified as such. He points out, for example, a couple of passages that people have felt that Austen would’ve amended, had her health been better. One is the extreme overkill in Mr. Elliot’s evil past, when any one of his misdeeds would have been enough to disqualify him as a suitor. Another is the head-scratching subplot between him and Mrs.Clay. I thought it was just me who didn’t understand what was going on, but I am not alone. All in all, I recommend Shapard’s annotated series for anyone who yearns for more Austen, because reading such a tome is a different, deeper experience than reading the original. Barnes and Noble has so many books that it’s impossible for me to fail to find something I’d love to read, each and every visit. The next time you visit the store, tell them I sent you. Check out other Bookstores I Love. What about you? What bookstores do you love? Tell us in the comments.